Coggin Collision, a subsidiary of Asbury Automotive Group, is committed to the proper repair of both cosmetic and structural damage to your vehicle. Our award-winning team focuses on each vehicle repair as if it’s their own because we understand what’s riding on our repairs. If you've ever been in an automobile accident, you know how stressful it is, both physically and emotionally. Your beautiful, prized possession has now been damaged and you want it restored to its original pristine condition. However, with the number of auto repair shops available, how do you know which shop is the most reliable and does the best work in repairing and painting your vehicle. You will have peace of mind knowing that your repair will be both expeditious and complete. Knowing that collisions don't occur just during the week, our collision facility is open Monday through Saturday in order to meet with your scheduling obligations. Coggin Automotive has been serving Florida since 1968, with a reputation for making sure each customer is treated with the highest levels of customer service. Coggin Collision Center is a full-service auto repair and we have 4 locations to serve your collision repair needs and provide the highest quality care for you and your vehicle. Our staff and technicians are I-Car Gold Level Certified and have gone through extensive OEM training to be Certified to work on today’s very complex vehicles. These folks provide outstanding customer service and the highest quality repairs on every vehicle. 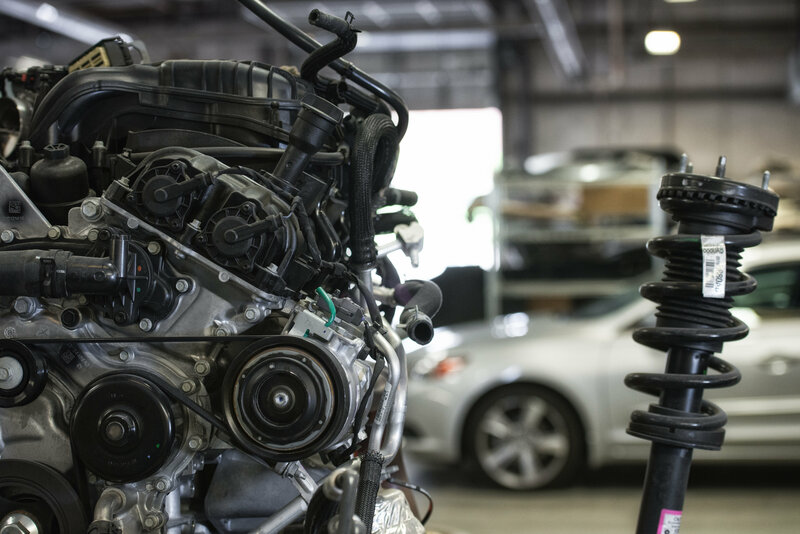 Our locations feature the newest paint systems, robotic repair units, and state-of-the-art technologies that will successfully restore your vehicle back to its pre-accident condition. When you bring your new or used car for service or auto repair, you'll find Coggin dealers, employees and methods are some of the best in the business. Coggin Collision Centers are among the best in the area for collision repair and our clients consistently give us raving reviews. All our work is guaranteed by a Limited Lifetime Warranty for as long as you own the vehicle. We provide free estimates and work with all insurance companies. If you need a rental car while your vehicle is being done, we have Enterprise rental cars on site for your convenience and the rates are insurance approved. Coggin Collision Centers operated by Asbury Automotive. Copyright © 2019 Asbury Automotive & Coggin Collision Centers.